In the ballroom of a sparsely furnished Connecticut mansion, police find a shocking sight: four bodies lined up next to each other, three teenagers and a middle-aged woman, each lying on a blanket, each shot once in the head. In an upstairs bedroom: an elderly woman and the family dog, both of them shot as well. The only person missing is the husband, father, son, and prime suspect, John Hartman, who's got a three-week jump on the police. Through the eyes of almost two dozen characters, including the neighbor who reports the crime, Hartman's mistress, a dogged state investigator, the family minister, and some of the characters Hartman meets on his escape route, we piece together not only what happened and how these shocking murders affect the community, but how John Hartman evades capture, where he's headed, and maybe even why he committed this gruesome crime in the first place. 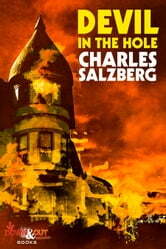 "DEVIL IN THE HOLE is powerful stuff. 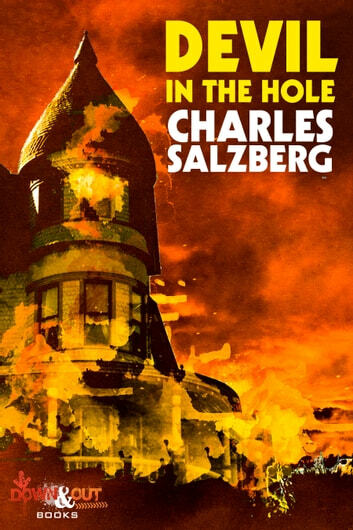 Drawing on real events, Salzberg has crafted a mesmerizing tale in many voices. He masterfully drip-feeds the compelling story, funneling moments from disparate, scattered lives to define the personality of a madman. The overall effect is like slowly opening a beautifully wrapped box of poisoned chocolates." — Tim McLoughlin, editor Brooklyn Noir.